Last year, The Rocky Horror Picture Show, celebrated its 40th anniversary, a landmark marked by a cast reunion, online retrospectives, a new Blu-ray edition of the film, and news of a planned TV remake for Fox featuring, among others, original star Tim Curry. And, of course, there were the usual celebrations via the midnight gatherings of fans who dress-up, talk back to the screen, and reenact the film as it plays on the screen behind them, a still-thriving tradition even as the landscape of midnight moviegoing shifts. This October will see the arrival of another, related, anniversary, albeit one sure to pass without much fanfare: the release of Shock Treatment, a Rocky Horror sequel that arrived in theaters in 1981. But instead of assuming its place alongside the original, it lives deep in the shadow of Rocky Horror, beloved by a few, shunned by others, and unknown to most of the world. It was the very first thing Id ever written and I didnt even see it as writing, really. To me it was just like doing a crossword puzzle or painting a picture or making a collage. I just wrote some songs, which, I liked. I wrote some gags which I thought were funny. I put in some B-movie dialogue and B-movie situations and I was just having a ball. The resulting play, The Rocky Horror Show, opened on Londons West End in June of 1973, under the direction of Jim Sharman. With a cast that included OBrien, Patricia Quinn, Nell Campbell (a.k.a. Little Nell), and, in the central role of Dr. Frank N. Furter, Tim Curry, the show became a smash. It also attracted the attention of Lou Adler, an American music manager and promoter who attended a show with his girlfriend, the actress Britt Eckland. Smitten, Adler acquired the American theatrical rights and opened The Rocky Horror Show in Los Angeles, importing Curry to star in the production. In L.A., the show earned new fans including Elvis Presley and its success allowed Adler to strike a deal with 20th Century Fox to turn the play into a film. Filming commenced in England in October of 1974, with Sharman at the helm and Curry, Quinn, Campbell, and OBrien reprising the parts theyd originated. Joining them were the American singer Meat Loaf, whod been part of the L.A. cast, and Susan Sarandon and Barry Bostwick, actors cast in the roles of the whitebread couple Janet Weiss and Brad Majors at the suggestion of Fox, who wanted American actors for the parts. After filming wrapped, The Rocky Horror Show then moved to Broadway where, ominously, it flopped. 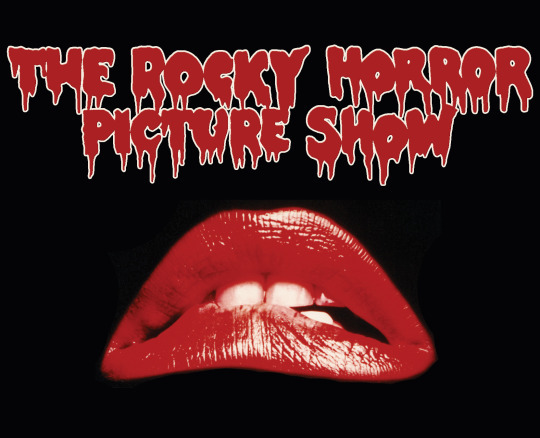 So, too, would the film when released in September of 1975 under a slightly new title: The Rocky Horror Picture Show. An ill-received preview screening in Santa Barbara led to a timid roll-out and a canceled Halloween opening in New York. It looked like the lights would go down on The Rocky Horror Picture Show before most of the U.S. had a chance to see it. The resulting play, The Rocky Horror Show, opened on London’s West End in June of 1973, under the direction of Jim Sharman. With a cast that included O’Brien, Patricia Quinn, Nell Campbell (a.k.a. “Little Nell”), and, in the central role of Dr. Frank N. Furter, Tim Curry, the show became a smash. It also attracted the attention of Lou Adler, an American music manager and promoter who attended a show with his girlfriend, the actress Britt Eckland. Smitten, Adler acquired the American theatrical rights and opened The Rocky Horror Show in Los Angeles, importing Curry to star in the production. In L.A., the show earned new fans — including Elvis Presley — and its success allowed Adler to strike a deal with 20th Century Fox to turn the play into a film. Filming commenced in England in October of 1974, with Sharman at the helm and Curry, Quinn, Campbell, and O’Brien reprising the parts they’d originated. Joining them were the American singer Meat Loaf, who’d been part of the L.A. cast, and Susan Sarandon and Barry Bostwick, actors cast in the roles of the whitebread couple Janet Weiss and Brad Majors at the suggestion of Fox, who wanted American actors for the parts.